Here's some FAB news... 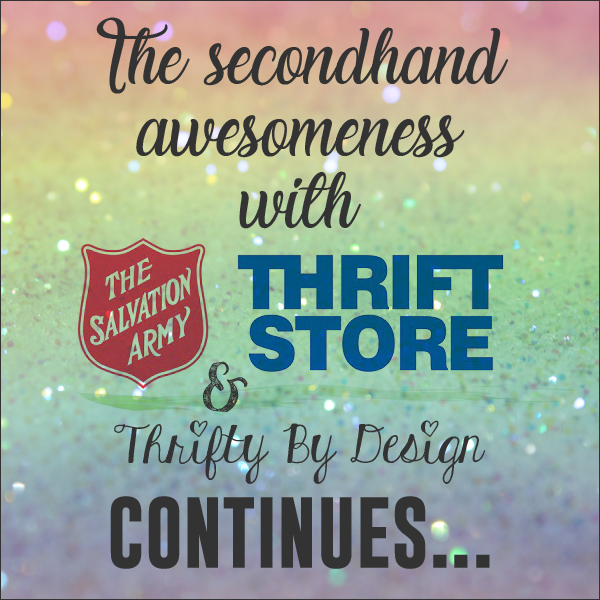 I'll be sharing more tips and tricks when it comes to thrifting, upcycling and DIY-ing with the Salvation Army Thrift Store. My gig as one of their Creative Experts has been extended from December 2017 to March 2018. My first stint has been so much fun and the Salvation Army Thrift Store has been awesome to work with. Looking forward to sharing more easy peasy projects repurposing thrift store finds. Stay tuned for another giveaway, more refashioning projects and my feature video!